The first half of Vikings Season 5 ended with the surprise deaths of several major characters. What will happen in the second half? If you’ve been anxiously awaiting the return of this show, you may have wondered how to watch Vikings Season 5B online. This article will explore how to live stream Vikings in the US or abroad in Canada, Australia, New Zealand, the UK, or elsewhere. If you have a US credit card and can subscribe to History Channel, using one of many streaming services, such as Philo, is your best option. There’s a chance you may also be able to watch Vikings Season 5 episodes for free on History.com after they have aired live. If you are traveling outside the US, the best VPN to use is ExpressVPN. For users that cannot obtain a US History Channel subscription, options include History.ca, Amazon Prime UK, SBS.au and others. Vikings Season 5 will premier in the US on Nov. 28 at 9 p.m. There will be ten episodes, and the fate of the people of Kattegat will be decided by the end of the season. Season 6 will air sometime early next year. There are many options to watch Vikings both in the US and in other countries. But no matter which website you use to watch Vikings in your home country, you will be blocked if you travel outside of your country’s borders. 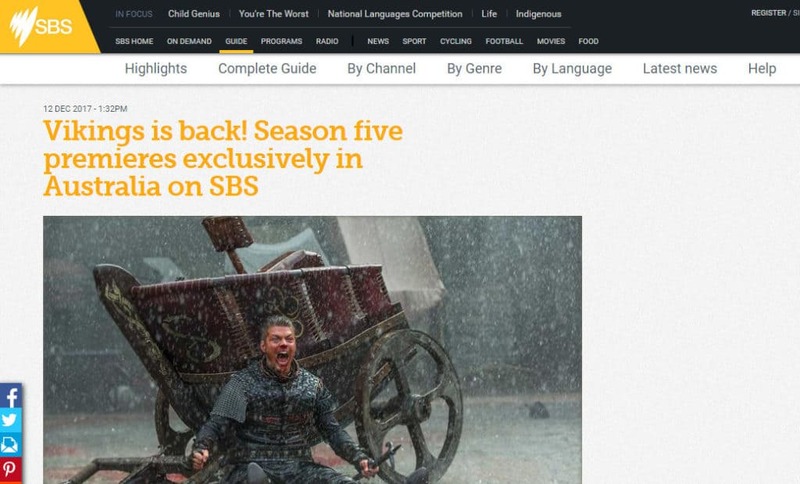 This is because History Channel has licensed Vikings in some countries exclusively to third-parties, such as SBS in Australia. As part of the deals it has reached, it has agreed to block users located in each country from viewing episodes of Vikings from sources in other countries. Despite this problem, you can easily bypass History Channel’s geoblocks by using a VPN to hide your IP address. This will allow you to travel anywhere in the world without missing an episode of Vikings. We recommend ExpressVPN for fans of History Channel shows such as Vikings. ExpressVPN has servers in over 90 countries, keeps no logs, and has a track record of being successful at getting around geoblocks on History.com, Hulu, Netflix, and other streaming sites. It takes only a few minutes to get started. Just choose whether you want to subscribe for one, six, or 12 months. If you decide within 30 days that you don’t like the service, you can cancel for a full refund. In order to watch Vikings online, you will first need to determine which sources carry the show in your home country. Here is a list of sources for the US, Canada, UK, Australia and New Zealand. Each of these TV providers offers a 7-day free trial. All of these services can only be accessed with a US credit or debit card. If you are from Canada, the best site to watch Vikings on is the official site for History channel in Canada. New episodes will be posted as they air. Unfortunately, we could find no online-only TV providers in Canada that are compatible with History.ca.You’ll need a cable or satellite service to get access to new episodes of Vikings. 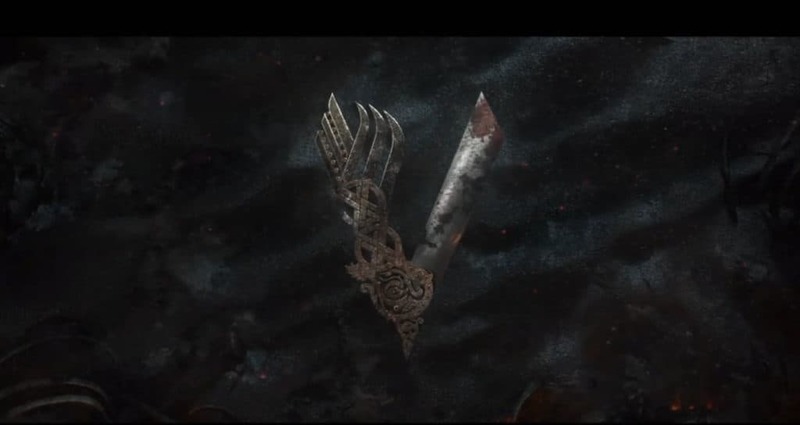 If you are from the UK, you have two options to watch Vikings Season 5, part 2 online. The first option is to subscribe to Amazon Prime for £7.99/month. New episodes will be posted the day after they air on History. The second option is to use TVPlayer.com and subscribe to the “PLUS Lite” package for £5.99/month. In this case, you’ll be able to watch new episodes when they air or record them and watch them later. Both of these services offer a 30-day free trial. New episodes of Vikings can also be rented at a price of £1.49 per episode from Amazon. All of these services require a UK credit or debit card to access. If you are from Australia or New Zealand, you can watch new episodes of Vikings on the official SBS website. Just sign in with your TV provider to get access to on-demand episodes. The above streaming methods for Vikings Season 5B will work as long as you have the right payment methods for these countries. A problem will arise if you travel outside of your country’s borders. For example, if you live in the UK, you may sign up for TVPlayer thinking it will allow you to see every episode of the new season of Vikings. But then you travel to the US and find that you get an error message whenever you try to access TVPlayer.com. A similar error will occur if you live in the US and try to access history.com from the UK or live in Australia and try to watch SBS.com.au from the US In all of these cases, the problem is that your IP address is visible. As a result, the website you are trying to access knows you are in another country. Select a server from the country your service is located in. For example, if you are subscribed to TV Player, connect to a UK server. If you are subscribed to DirecTV Now, connect to a US server. Navigate to your service’s website and start watching! That’s all there is to watching TV from abroad with a VPN. This article will only cover official sources. Although there will probably be pirated streams of Vikings available, we don’t recommend using these. In most cases, pirated streams will be low-resolution and prone to buffering. Many are hosted on websites that may contain malware or limited site security. They may also be taken offline altogether. And there are plenty of official streams available, so there isn’t much reason to resort to unofficial ones. Can I stream Vikings with a free VPN? While a free VPN may sometimes work to get around geoblocks, it usually only causes frustration to users. Most free VPNs have data limits that are too low for streaming video, especially for high-quality video and sound. In addition, they generally don’t have enough infrastructure to handle the traffic generated by thousands of users. Because of this, they often have dropped signals even for users that are just browsing the web. Free VPNs also often record users’ data, invading their privacy. Selling that data is how they make money from the service. So that’s another good reason to stay away from them. We recommend using VPNs that have high speeds, leading to better picture and sound quality and less buffering. You can read a list of some good ones here. What is History Channel’s Vikings? Vikings is a historical drama written by Michael Hirst (Elizabeth, Elizabeth: The Golden Age, The Tudors). It begins with the story of Ragnar Lothbrok (played by Travis Fimmel), a hero often mentioned in Norse sagas and poetry. According to legend, Lothbrok was a fierce warrior who terrorized much of England and France in the 9th century. In the TV series, he is depicted as an average farmer who rises to become a Scandinavian King by organizing daring raids against the English. After Lothbrok dies in Season 4, the series follows Lothbrok’s sons as they continue to build power all over Europe. Although much of Vikings’ storyline is fictional, it also weaves in elements of Norse legends and explores the religious conflict between Roman Catholicism and Norse Paganism that existed in the 9th century. The show is filmed in Ireland and is filled with beautiful scenes of Irish landscapes. In addition to these elements, fans of Vikings are also drawn to the strong acting it provides from Fimmel, Gustaf Skarskgård (Floki), Jessalyn Gilsig (Siggy), and Clive Standen (Rollo). If you want to binge-watch the previous seasons to get ready for the new one, they are all available on Hulu in the US and Amazon Prime Video in the US and UK.